Vernon Armitage served as senior pastor of Pleasant Valley Baptist Church in Liberty, Missouri for forty-one years, beginning with about 100 people and becoming the largest Baptist church in Missouri. Leadership development and equipping volunteers were a major focus of the ministry at Pleasant Valley. Vernon has served as a visiting professor of evangelism at William Jewell College in Liberty, Missouri, and at Midwestern Baptist Theological Seminary in Kansas City, Missouri. He also taught in the M. Div. program at Golden Gate Theological Seminary in San Francisco, California. He is a graduate of Southwest Baptist University in Bolivar, Missouri, and Midwestern Baptist Theological Seminary in Kansas City. He also works with Group Publishing Company as a presenter at LifeServe, an annual national conference. 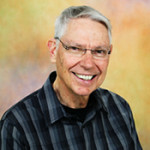 Vernon has written articles for periodicals including Growing Churches, Church Administration, and Leadership Journal. He has developed materials for John Maxwell including “How to Spot a Leader” in the book Developing the Leaders Around You and the study guide for Developing the Leader Within You. Vernon also authored the book Living Life to the Max published by Barbour Publishing Company. Vernon and Charlene presently serve on staff at Willow Creek Community Church in South Barrington, Illinois, and lead seminars on equipping and developing volunteers. They have two grown children, Kelly and Timothy, and four grandsons, Logan, Noah, Crosby, and Christian. E2 Leadership helps church leaders develop an equipping culture that unleashes the exponential power of every believer. To help someone move from being a first-time guest to a fully engaged volunteer reaching his or her God-given potential is experiencing equipping at its best!